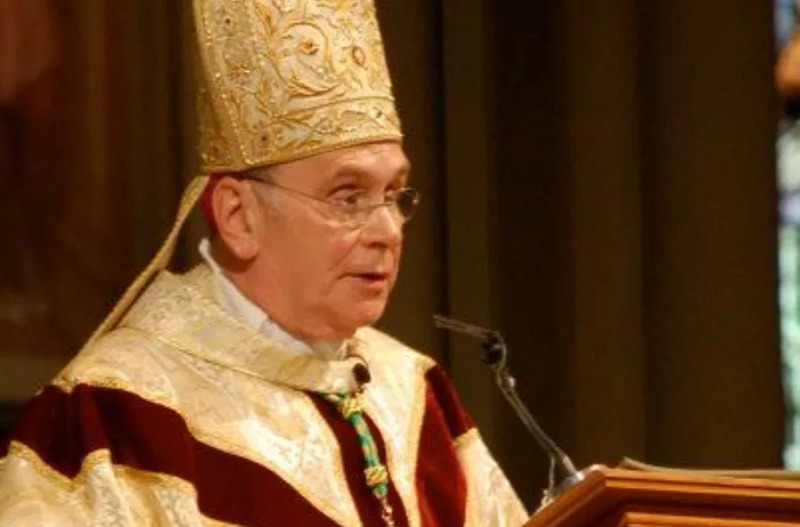 Covington, Ky., Jan 25, 2019 / 03:54 pm (CNA).- Bishop Roger Foys of Covington issued an apology Friday for a Jan. 19 diocesan statement that condemned the actions of some Covington Catholic High School students, following a widely publicized incident after last week’s March for Life in Washington, DC. “We apologize to anyone who has been offended in any way by either of our statements which were made with good will based on the information we had,” said Bishop Foys in the letter, which was addressed to the parents of Covington Catholic students. Foys also singled out Covington Catholic student Nicholas Sandmann, the student at the center of the controversy. A video emerged Jan. 19 of Sandmann standing in close proximity to Native American activist Nathan Phillips, who was, at the time, chanting and playing a ceremonial drum. Earlier in the week, Foys offered similar sentiments to the student body at Covington Catholic during a rally. “Know that I stand with you, that I join with you in that ‘Spirit that will not die’ and that together we will work through this. Thank you and God bless you,” the bishop told students. The Kentucky Diocese of Covington and Covington Catholic High School released a joint statement Jan. 19, condemning the students’ behavior, at a time when it was widely reported that they had been mocking or antagonizing Phillips. Since the controversy began, Covington Catholic High School students have been subject to death threats, and the school was closed on Monday. Classes resumed with heavy police presence. On Saturday, Phillips and a crowd of about 50 attempted to disrupt Mass at the Basilica of the National Shrine of the Immaculate Conception, but were stopped by shrine security. “I pray that with the grace of God and the goodwill of all involved peace will once again reign in the hearts and minds of our faithful,” said Foys.